Happy Friday! What do you all have planned for celebrating the New Year? I have some low key party plans, but that’s right up my alley. Does anyone else find this holiday to be super overrated? There’s always so much buildup, and then nearly every year the plans let you down. It’s never as fun as it’s cracked up to be, to me anyway. With that said, I LOVE the reason for the celebration. There’s really nothing better than welcoming a new year and a fresh start! You can wipe the slate clean and create an entirely new list of plans, hopes and goals. As I mentioned yesterday, I’m doing a three-part video miniseries over on my YouTube channel to celebrate a great year and share some of my favorite moments! Today’s video features my top 10 favorite purchases from the last year – I’m going through each item and sharing what makes it special. I hope you’ll click here to catch this latest video, and stay tuned for tomorrow’s final episode featuring my goals and resolutions for 2017! 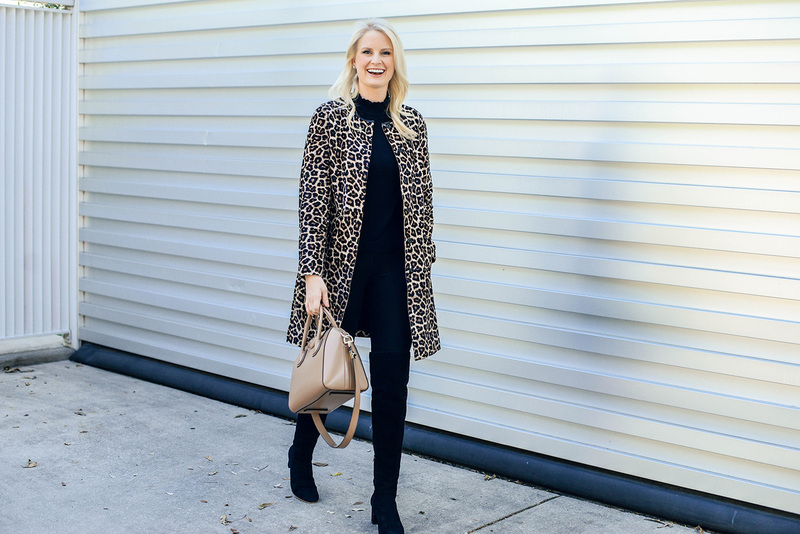 While this leopard print coat didn’t make the list for the video (it is a favorite, but it was such a recent addition I felt sort of silly adding it! ), it’s definitely going to be a cherished piece going into winter. If you saw my Hong Kong Haul Video, you’ll know I found this leopard print calf-hair coat while shopping around with Jess in Hong Kong! Because I’m an idiot and didn’t do the money conversion right, I purchased this jacket thinking it was less expensive than it actually was. Oops! It’s more expensive than I probably would’ve spent otherwise, but I’m so, so glad I did. 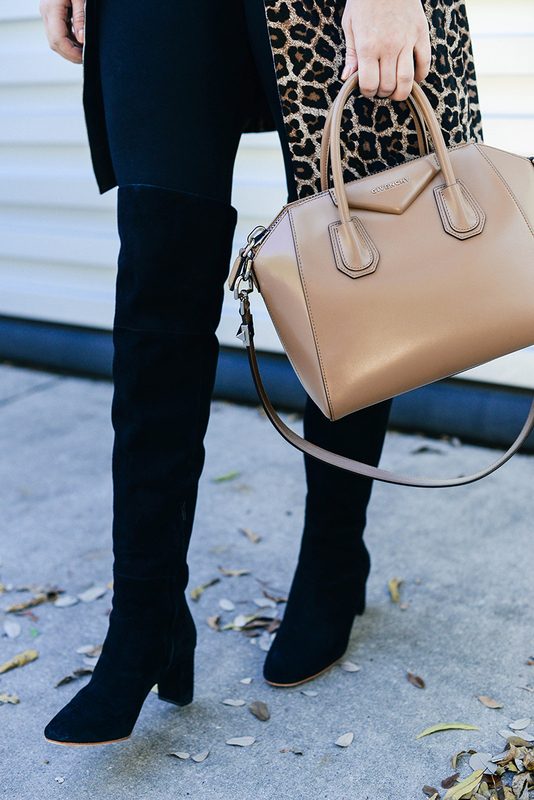 Leopard is absolutely a neutral, especially when paired with black, camel, brown and winter white. It looks amazing with practically everything in my closet, and adds a glamorous touch to even the most casual outfits. It’s somewhat lightweight, so it’s actually perfect for these mild Texas winters! 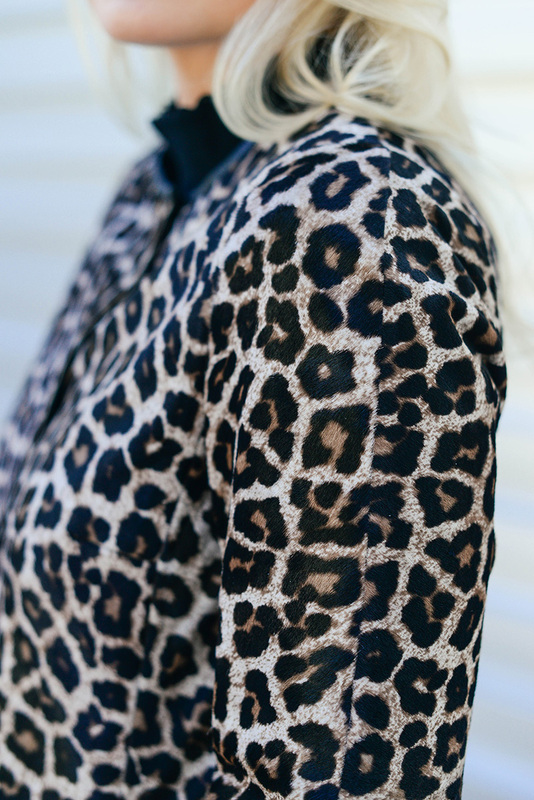 This faux fur jacket is under $350 but looks like the real thing, and the leopard print is on point! This leopard-print rabbit fur coat is so luxe and soft! Ideal for après-ski. Another great faux fur option, this style by Cupcakes & Cashmere would look great over any pair of jeans or leather leggings. 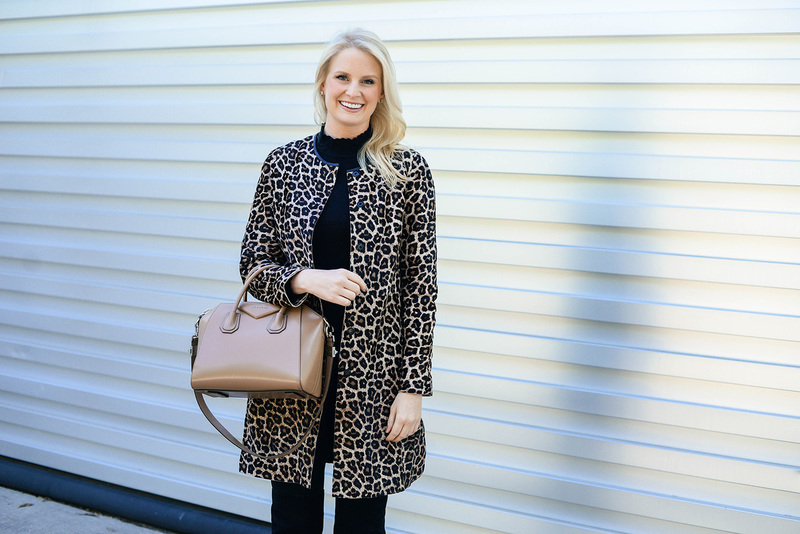 For just a touch of animal print, try this classic black coat with faux fur cuffs. If under $100 is what you’re after, give this Topshop piece a look. Adore the oversized fit of this blanket coat from MATCHES FASHION! So chic. If you happen to wear a size small and want to invest in something truly special, this A.L.C. jacket is oh so dreamy. In the words of Rachel Zoe, I die! That leopard print coat is so gorgeous!! Hope you have a happy new year! This outfit is on point! I love that little ruffle collar on your turtleneck– too bad about it being sold out. Beautiful + chic look! Happy, Happy New Year. ♥ A.